The weapons that tamed the west. The Western Weapon Pack is our 21st DLC for PAYDAY 2. 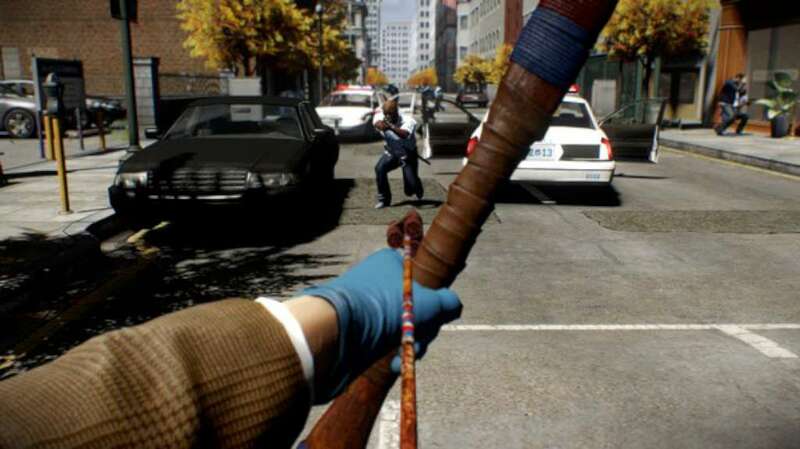 Stare down the law with these older than old school weapons that still pack a punch. Automatic fire is for people who can't aim anyway, right? Make your bullets count with the Peacemaker .45 Revolver where six bullets is enough to see six helmets fly. For those who need a few bullets more there is the Repeater 1874 Sniper Rifle. The Plainsrider Bow if you need no bullets at all. An arrow kills and doesn't make a sound. Unless you attach a pack of dynamite to it, which you can. 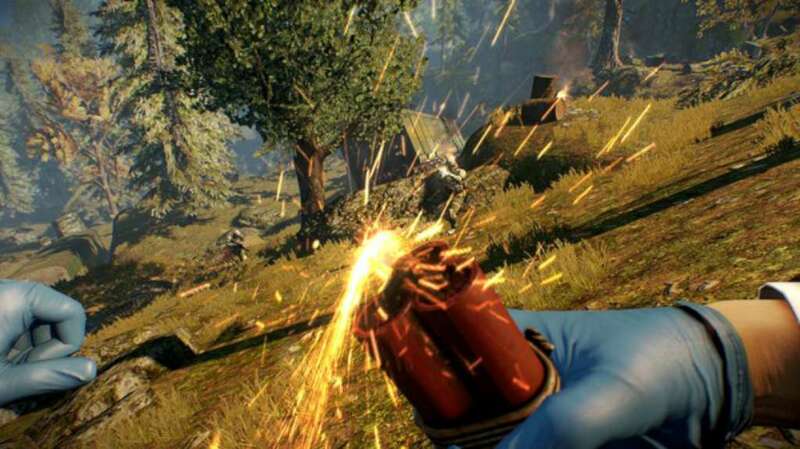 The dynamite also comes as a throwable so you don't need to go through the potential hassle of having a bow. Ride off into the sunset with four new masks, patterns and achievements. Giddy up! Plainsrider Bow – Iron firearms may have ultimately won the West, but the Osage flatbow was dominant for over a thousand years. A tool for hunters and warriors, the flatbow was the true weapon of the West. Its powerful arrows come in two varieties, classic stone-tipped and a new iteration of explosive tips with sticks of dynamite! Repeater 1874 – Need to shoot the head off a dirty ol' rattlesnake at 100 yards? Then you, good sir, need a Repeater 1874. This lever-actioned rifle became an icon of the Old West, due to its accuracy and reliability. Even though it's old it can still pick off any swarm of lawenforces fairly quick, and look good doing it. Nothing is as satisfying as level-action. Peacemaker .45 – The Pistol That Won The Old West. Cheap as a sack of corn, with ammunition available at any trading post, the Peacemaker .45 was the outlaws' weapon. Being the gun that killed Harlan "Big H" Leinard helped its notoriety. Make your bullets count and be rewarded accordingly. Dynamite! – Swedish engineer, Alfred Nobel, discovered dynamite and its effectiveness in blasting rock. But it was drunk prospector, Ol'Kenneth, who discovered its effectiveness in blasting people. Poor Ol'Kenneth never did live to see a day where he struck gold, but his discovery that is now passed on to you. Ruin and madness is what you will bring. Ol'Kenneth will turn in his grave from the blast. 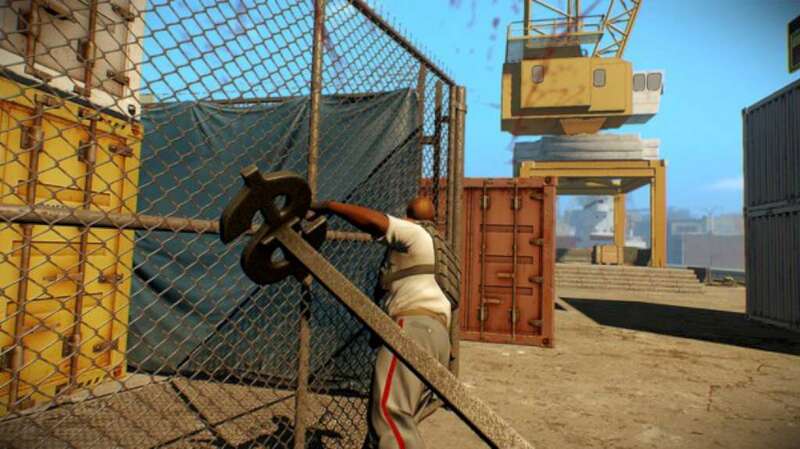 Four new melee weapons – There is a reason why some called it "The Wild West" and without certain protection from the law, whatever is in your hand will be your protection in the moment. Any tool will do when threatened, so here is four to choose from! Four new masks – Four new masks for you and your band of outlaws to ride into town with. 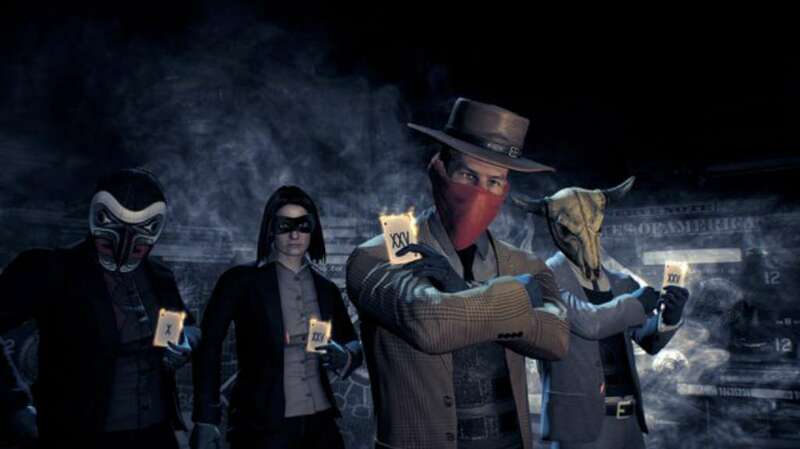 Fight off the law with Desert Skull, Apache Mystic, Lone Heister and Wild West Classic. Four new materials – Nobody remembers the ones who blend in. To scare the law one must stand out! It might draw a few more bullets but the effect is worth it. Four new Materials with a Western theme, decide on which one you want to use and rob a bank like the bandits of old! Four new patterns – Four new patterns to take you through that dusty trail. As it is your ritual already, paint your face for battle with these patterns of the West. 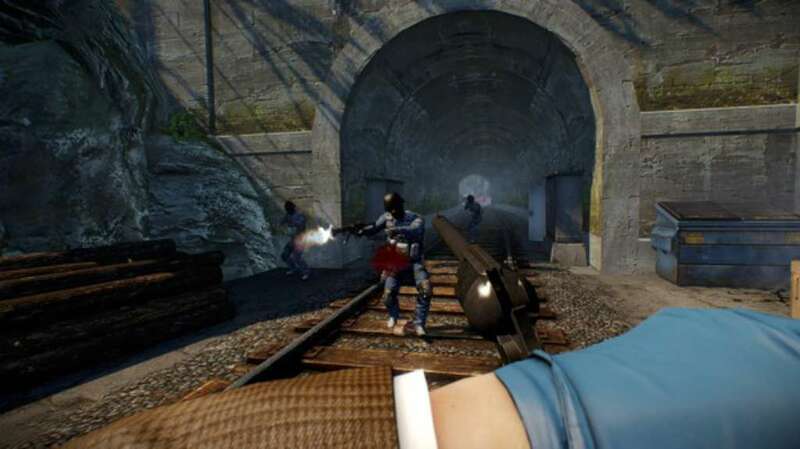 Four new achievements to unlock – Four new achievments for you to try out your new weapons with. "The Nobel Prize", "Recycling", "Fastest Gun In The West" and "Pincushion" should be in any gunslinger's accomplishments. Make sure they will be in yours, softpaw.